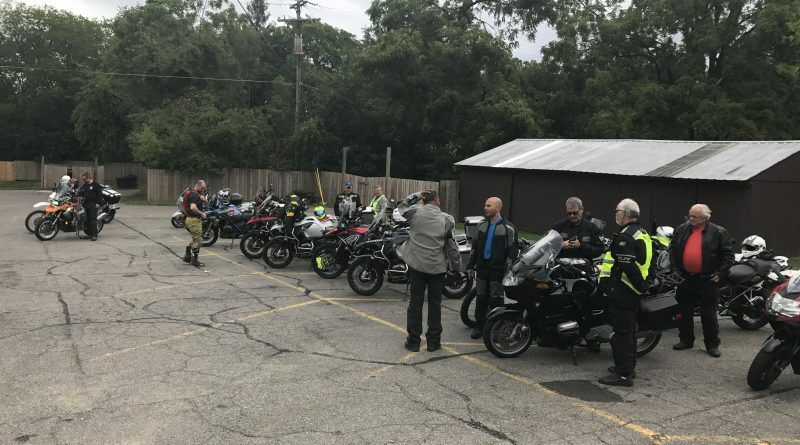 We had a great turnout for the ride, along with some nice cool weather. 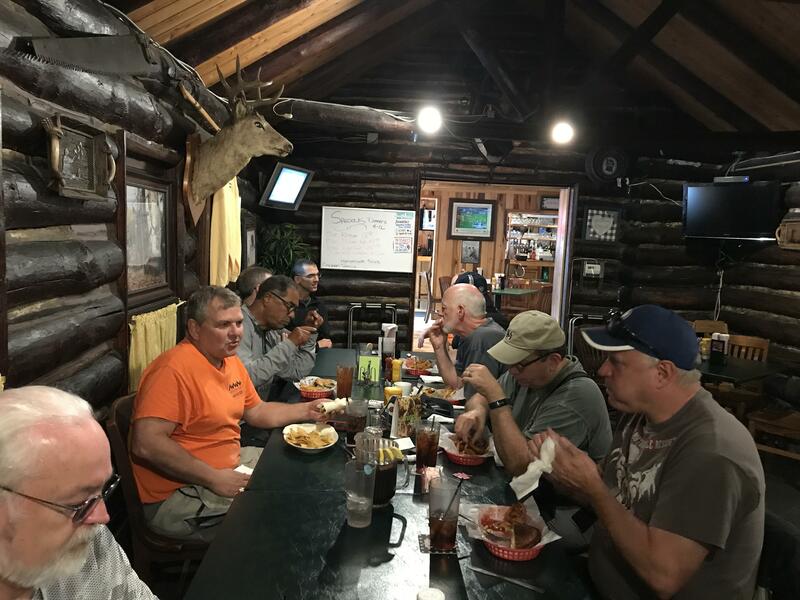 Members met at several different places for breakfast and then met up at the Inverness. 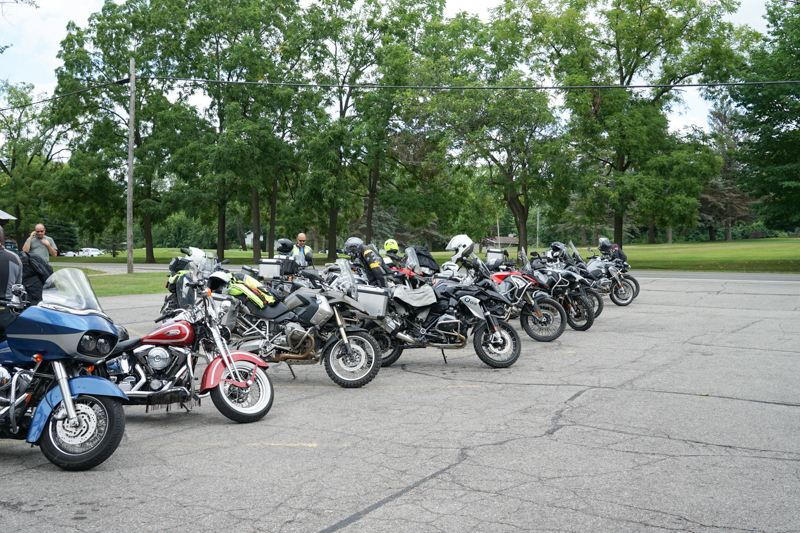 Mike E. did a head count, we had 25 club members come out for this ride. As it more frequently seems to be the case, there was an high number of dual sport bikes, and four lonely road bikes. The dirt guys broke up into four or five groups, while I led the three other street guys, plus two of the GS's, on the Jackson Prison Run. It was a beautiful day for a ride with the sun peaking in and out of the clouds. At the end of our ride in Pinckney, we stopped and had a doughnut. A couple of the guys went on home and some of went back to the Inverness to meet up with the rest of the guys. I didn't see broken bits on any of the bikes, and they were all dirty, so they must have had a good ride. All in all another great club ride. On a side note, I got a new camera system, and am still getting used to the button placement. I guess I didn't have the autofocus turned on, so all of my pictures, except two of them, came out blurry. Otherwise I'd have more pictures to post. Copyright © 2019 BMW Touring Club of Detroit. All rights reserved.